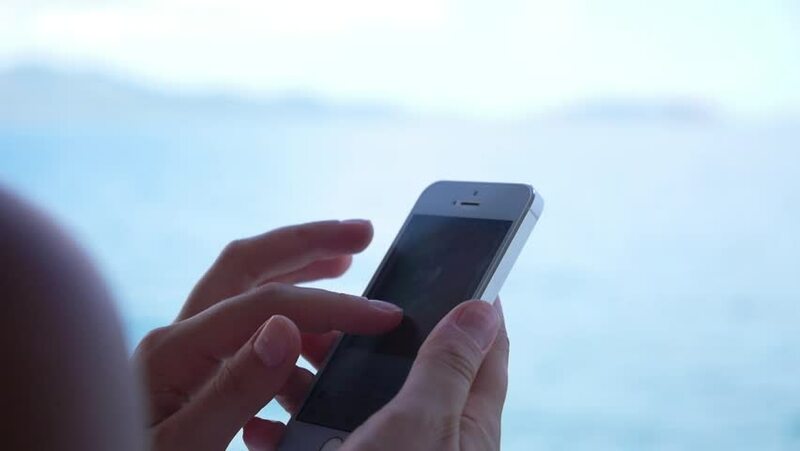 Girl Hand Touching Screen on Modern Mobile Smart Phone and Browsing Internet Pages on the Ship Board against the Sea. Slow Motion. HD, 1920x1080.